All Techmire die-casting machines are equipped with an LCD touch screen operator interface and a PC-based control system, operating on a Windows® platform. The Techmire control system incorporates a graphical user interface, featuring ease of part programming, machine set-up, program storage and retrieval, integrated access control, and an error messaging system with on line “help”. 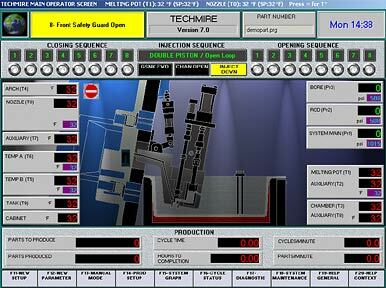 The control system software is proprietary to Techmire. 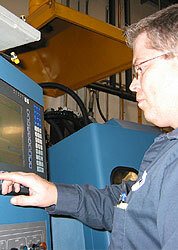 Remote diagnosis of any difficulties with the machine can be undertaken via a modem or a network card.